Un-fragranced & extremely gentle to stressed skin in the nappy area. Gentle care and natural protection from wetness. Ideal for allergies, eczema and extremely sensitive skin with organic evening primrose oil and shea butter to nourish and protect from dehydration and dryness. Zinc oxide to help create an effective barrier and help heal damaged skin. 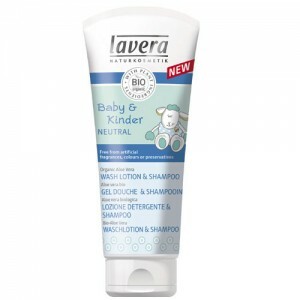 Lavera Nappy Cream contains no synthetic fragrances, colouring agents or preservatives. 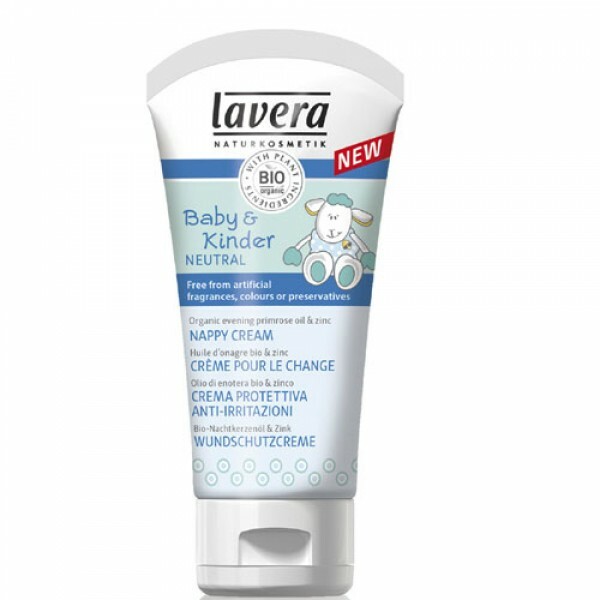 For Sensitive and Easily Irritated Skin, Lavera Nappy Cream is a composition of four valuable organic plant oils. It soothes the skin and creates a skin-caring, protective film, making sure the nappy area is free from soreness caused by wetness. Organic evening primrose oil with its high content in fatty acids and important nutrients supports the skin`s own ability to regenerate. Apply as needed at changing time. Usage tip: This cream is great for soothing sore areas and can be used by adults with eczema and can be directly put on very sore parts, e.g. on the hollow of the knee or on the inner side of the arms.